LOHMANN ANTI SKID TAPE IN BLACK AND WHITE COLORS IDEAL FOR HEAVY TRAFFIC AREAS, STAIRCASES, BATHROOMS, DRIVEWAYS ETC READY STOCK AVAILABLE !!!! The plate mounting tape solution for the most sophisticated tasks in letter press printing. Duploflex Fol is the industry's premier double-sided adhesive tape for mounting pre-cast counters. When applied to the back of a precast counter, Duploflex Fol provides tremendous holding power, which helps to assure the counter won't move or "walk" on press. 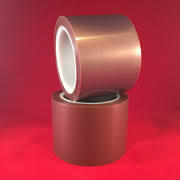 As a polyester-based film adhesive, Duploflex Fol is designed to be very resilient to heat and pressure and will not crush or spread like some paper-based adhesives do. Duploflex Fol is a pressman's dream product as it is easy and fast to apply while providing reliable performance and it can be removed without the use of dangerous or messy chemicals. Recommended for: emboss, deboss and combination (fluted) jobs THICKNESS:200 MICRONS ProduCt advantages: • The dimensional stable PVC film carrier in combination with an aggressive synthetic rubber pressure sensitive adhesive is particularly suitable for hard, tolerance-free mounting of printing plates in flexographic printing. • Excellent tolerance compliance. • The adhesive system has been developed for the mounting of photo-polymer plates.